TD Customs is a Certified Lumilor Lab! TD Customs specializes in classic restorations, custom paint, and auto body repair services. We are now proud to announce that we are also a Certified Lumilor™ Lab, and have added electroluminescent paint application to our list of services. Tim spraying Lumilor electroluminescent paint! Lumilor is a patented Electroluminescent Coating System that lets you paint anything into a lamp with an electrical charge. That’s right; anything can now be painted to illuminate as a real, bright light that you can easily turn on and off! Electroluminescent paint is applied like any regular paint, but contains conductive materials that when connected to an electric current, will light up. There are wires attached from the paint to an electrical source, but all wires are hidden, so what you see is a simple, flawless paint job. Lumilor can be made to be completely invisible when turned off. Lumilor is the newest, most revolutionizing paint product available. So new in fact, that people are still just seeing it for the first time. We are very excited to become a Lumilor Lab, and be able to do some awesome paint jobs with this! What is a Certified Lumilor Lab? 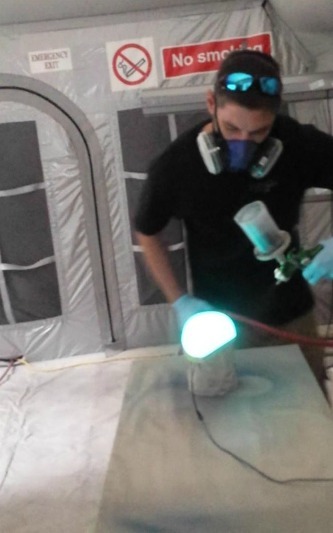 Only a Certified Lumilor Lab is able to acquire and apply the electroluminescent coating system needed to paint with light. It is a complex system that requires training and a comprehensive knowledge of how the product works. In 2015, Lumilor Labs™ began certifying select shops in the application process. We just recently returned from the Lumilor Lab training center in Las Vegas, where Tim learned all about the product and became certified to apply it. We are one of the first businesses to become certified, and TD Customs is now one of the very first shops in the US able to offer Lumilor applications. Where else have you seen Lumilor? We are definitely impressed with this product and have so many ideas for how it can be used. Being a Certified Lumilor Lab allows us to make your ideas come to life. What would you put Lumilor on? Have questions about Lumilor? See our Electroluminescent Paint Questions page. Since we are just starting to use this product, we are going to be a bit selective in the jobs we take on. This is to ensure that we maintain the quality of our work and that every Lumilor paint job meets our high standards. If you are interested in getting an electroluminescent paint job, fill out our Get Lit Request form, and we’ll contact you as soon as possible. TD Customs is an auto body and paint shop that specializes in restorations and cool custom paint. As a Lumilor Lab, we can now bring your paint jobs to the next level with electroluminescent paint. 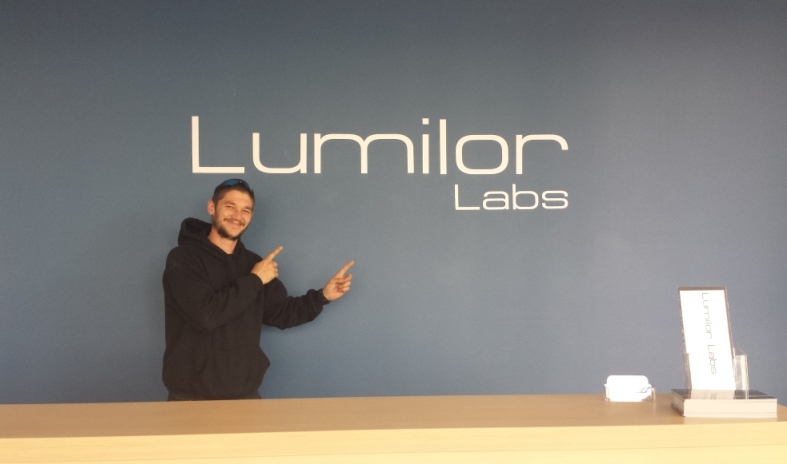 We are very excited to be one of the first Lumilor Labs in the United States! Contact us to discuss your project with us today! No Replies to "TD Customs is a Certified Lumilor Lab!"